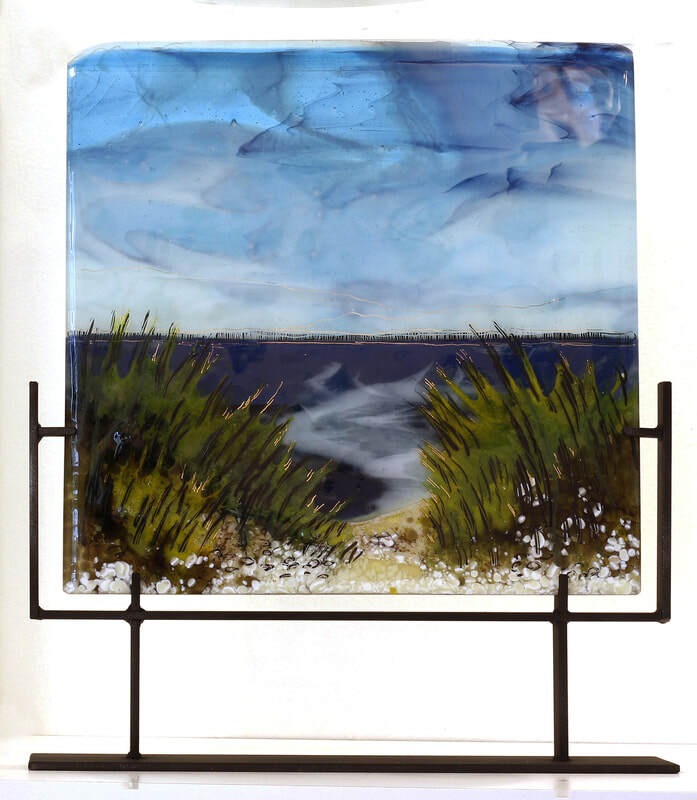 "Growing up in the Ocean State, the little state of Rhode Island, I have the beautiful Narragansett Bay coastline from three directions. 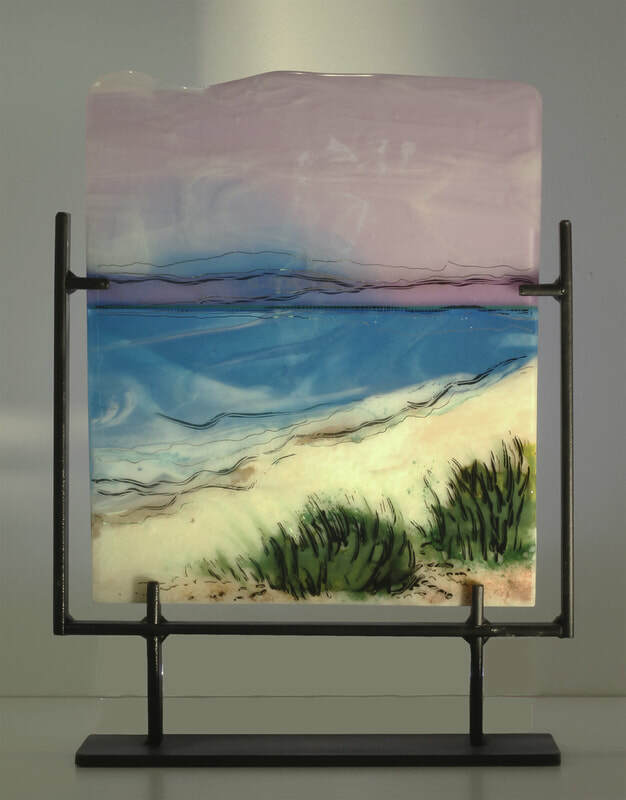 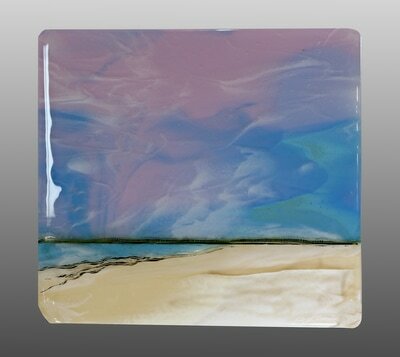 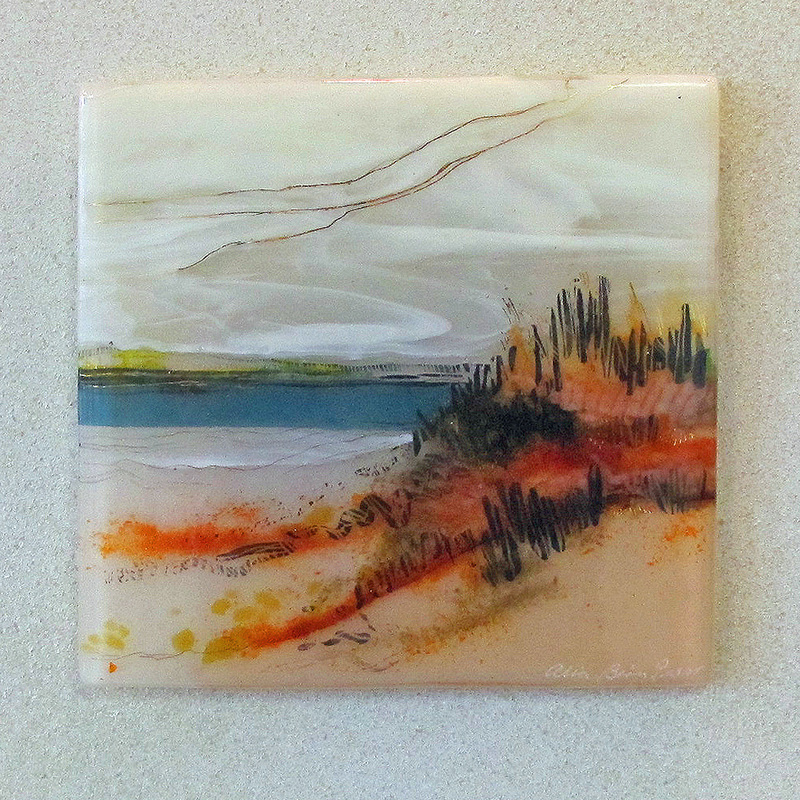 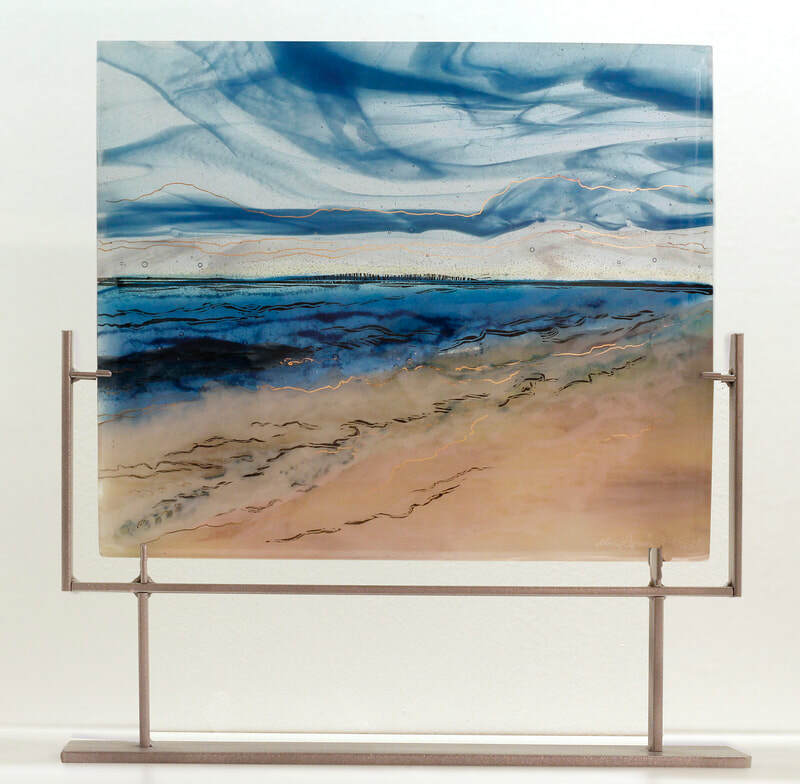 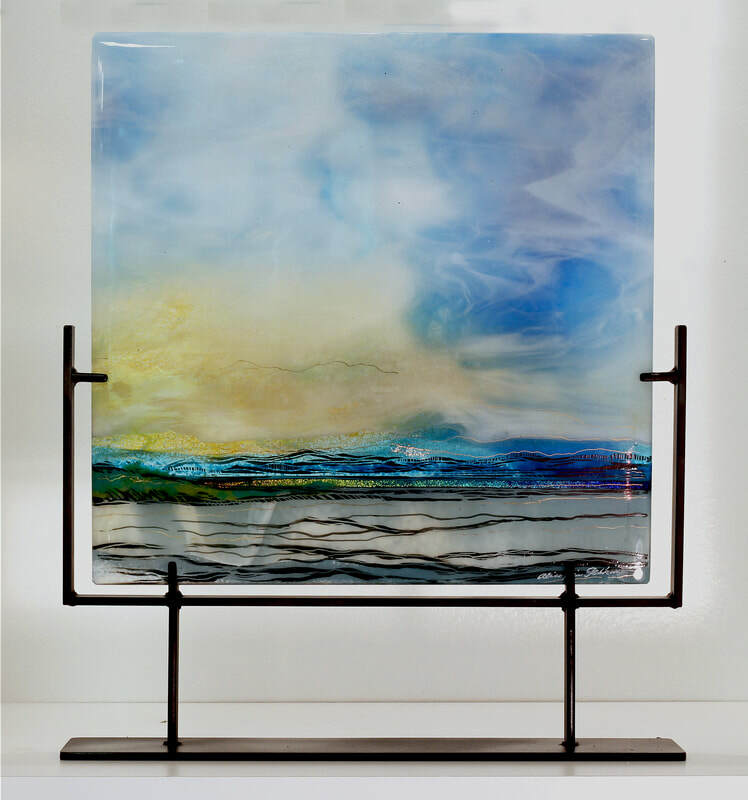 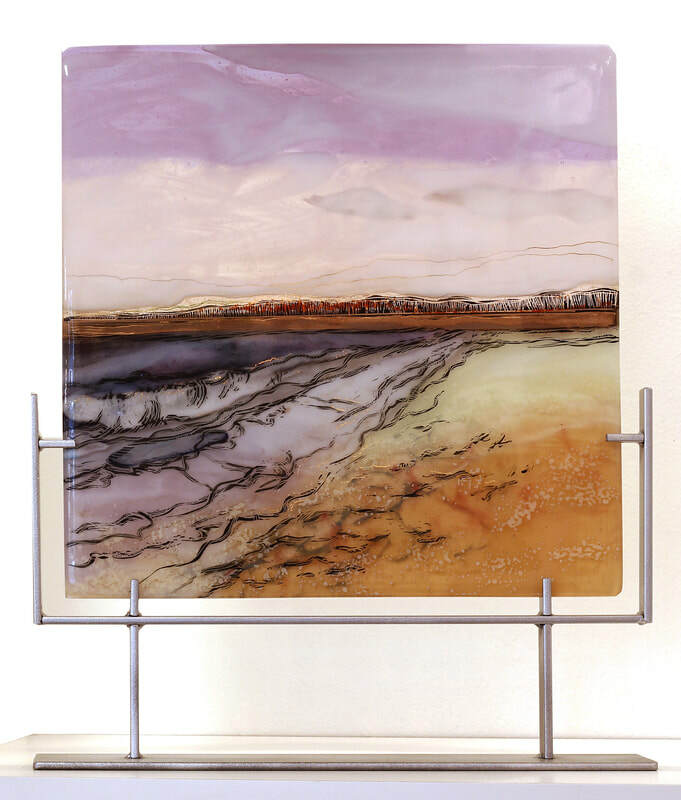 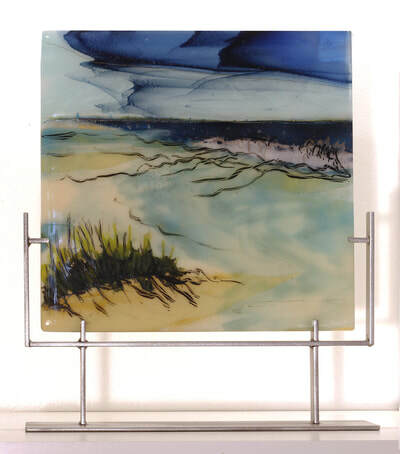 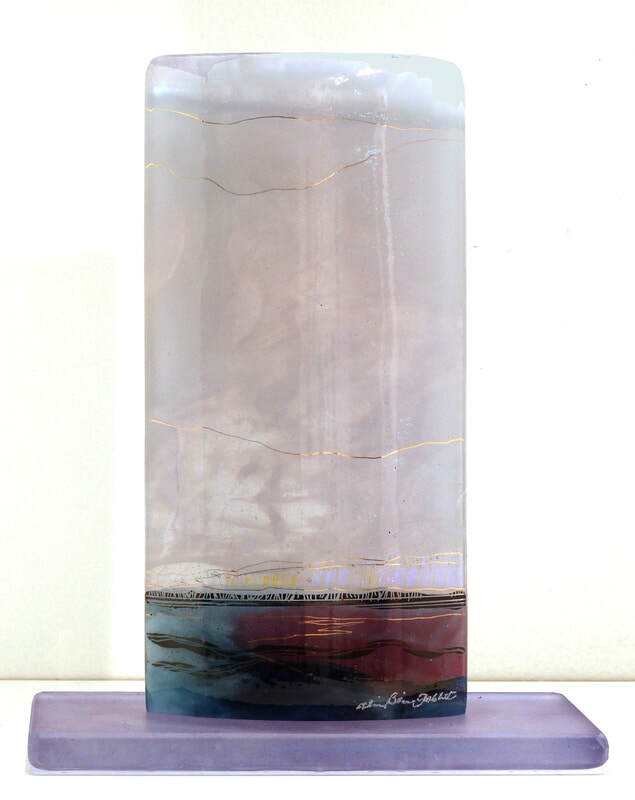 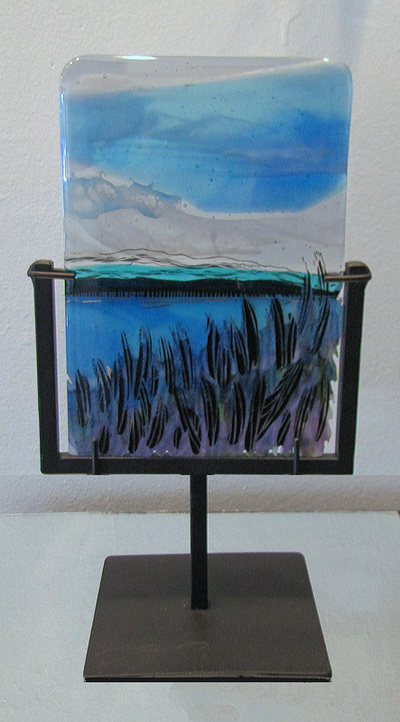 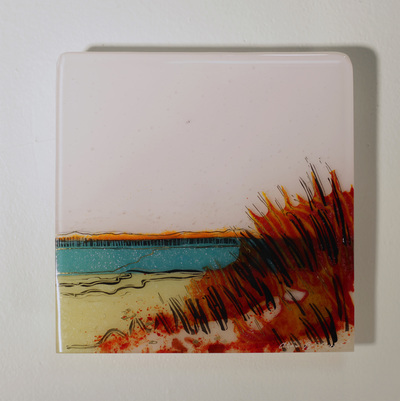 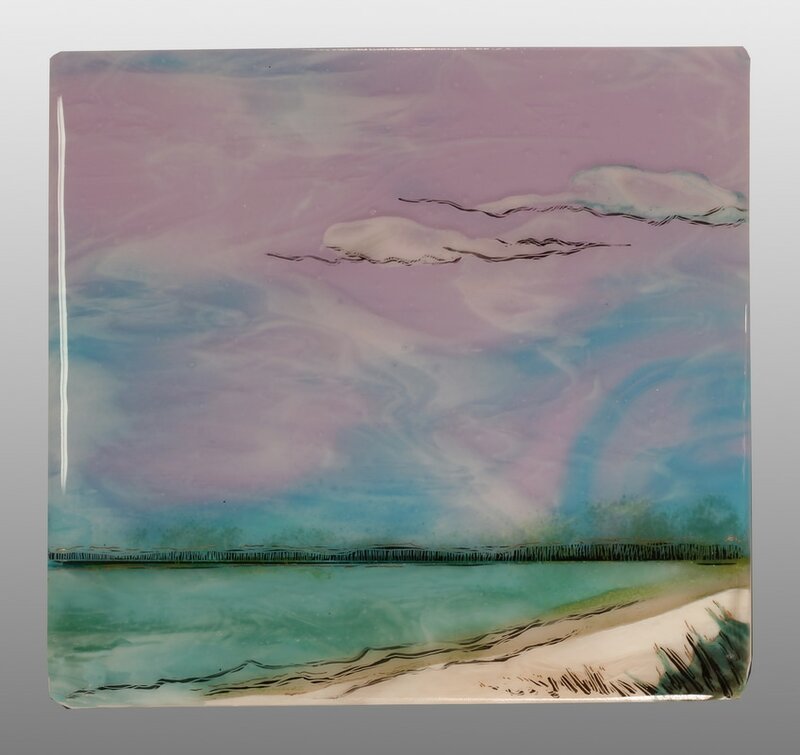 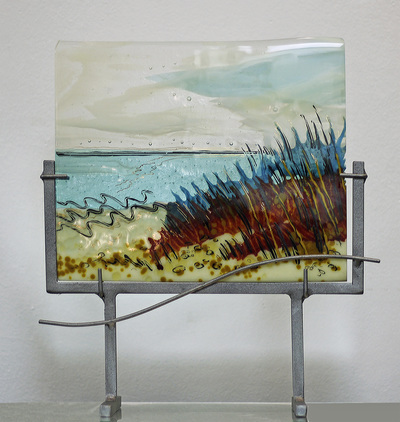 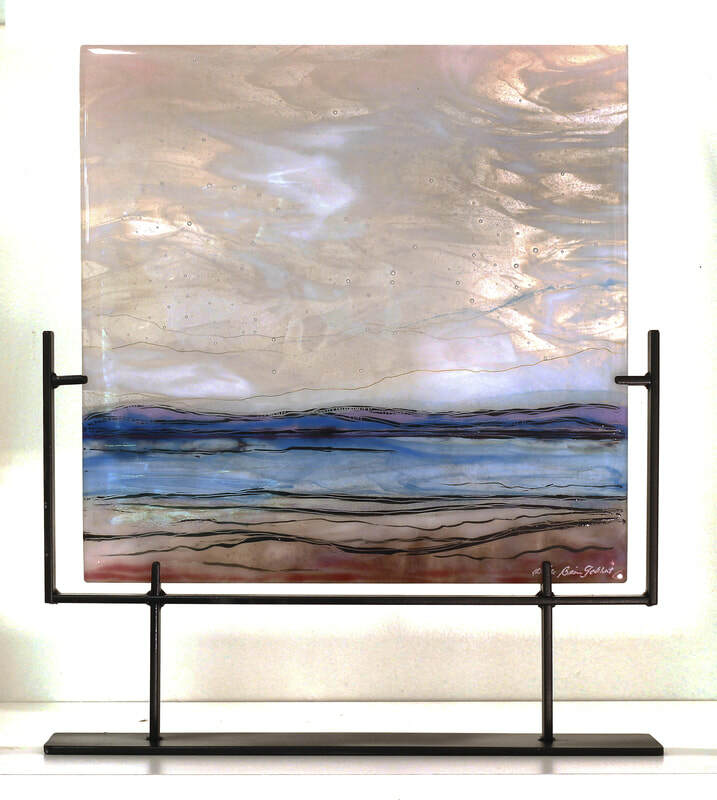 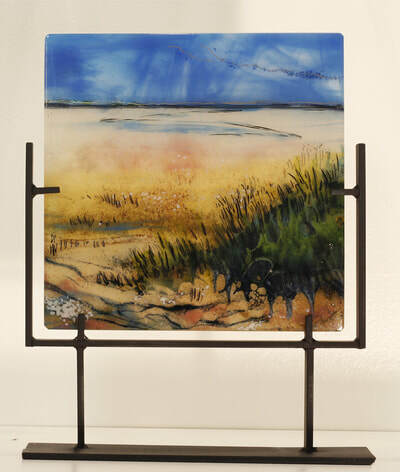 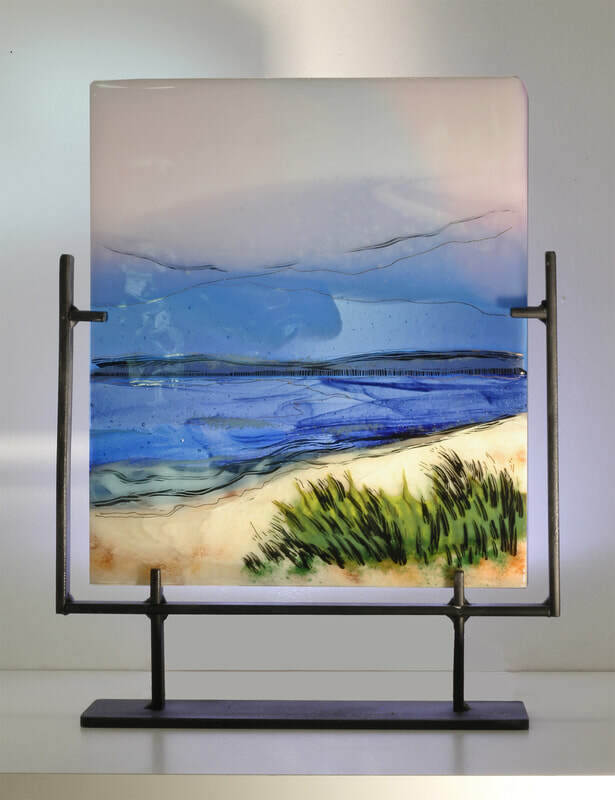 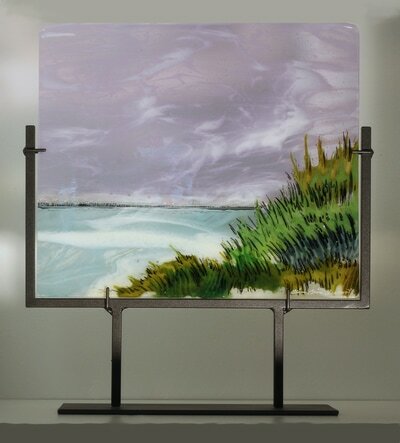 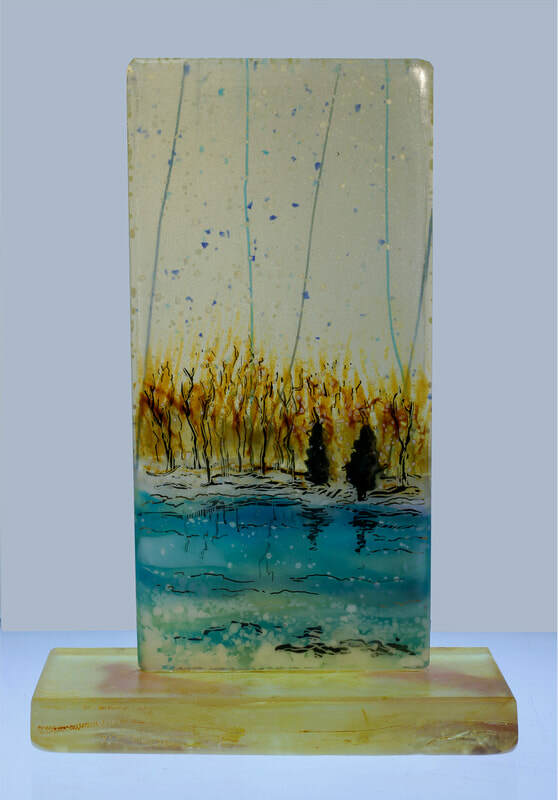 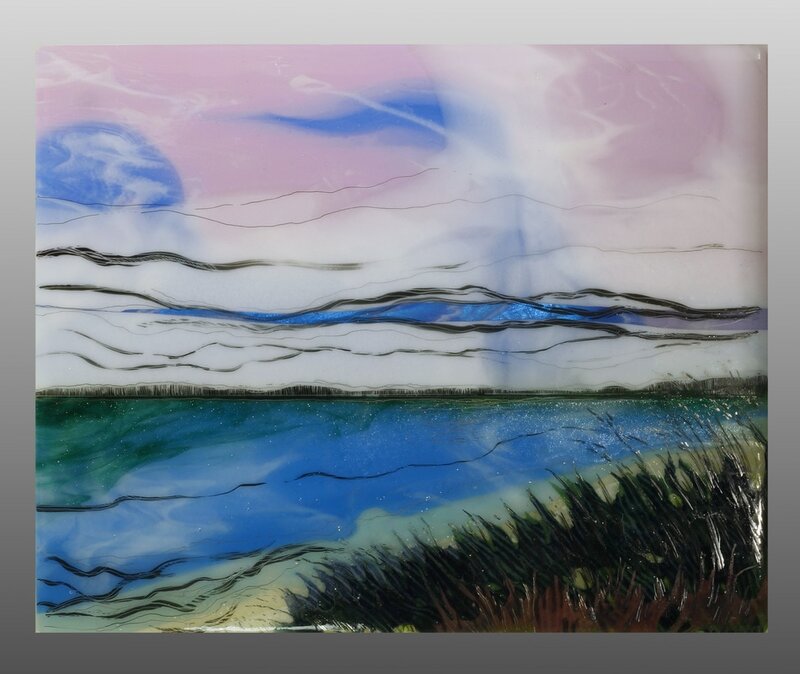 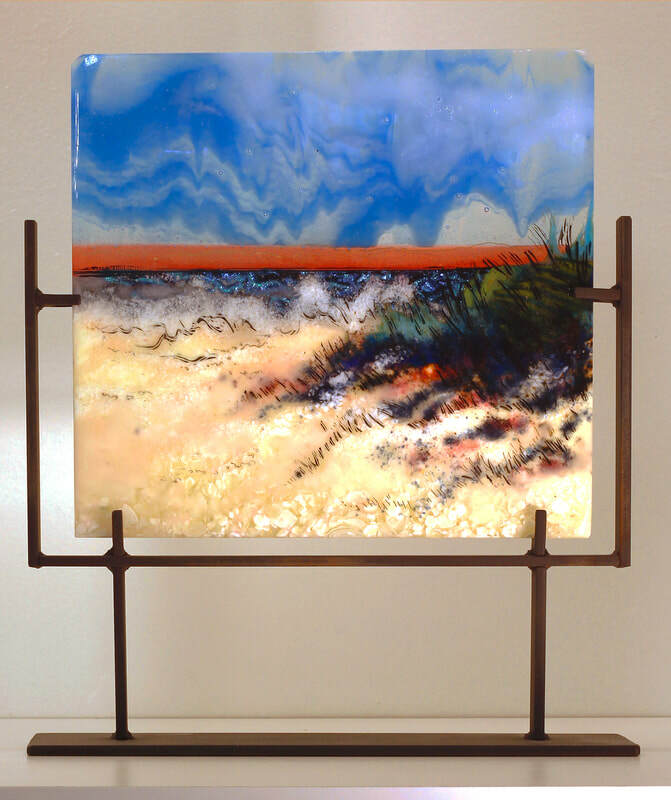 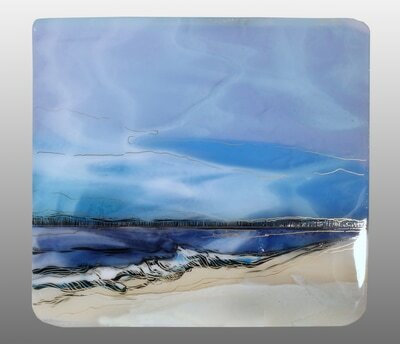 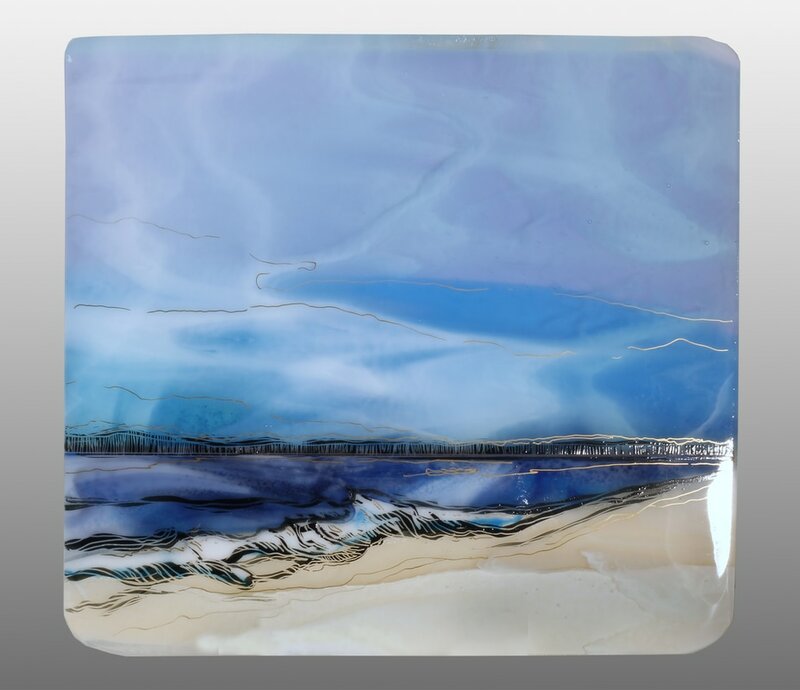 The images of area beaches and shoreline are a constant inspiration for my fused glass panels. 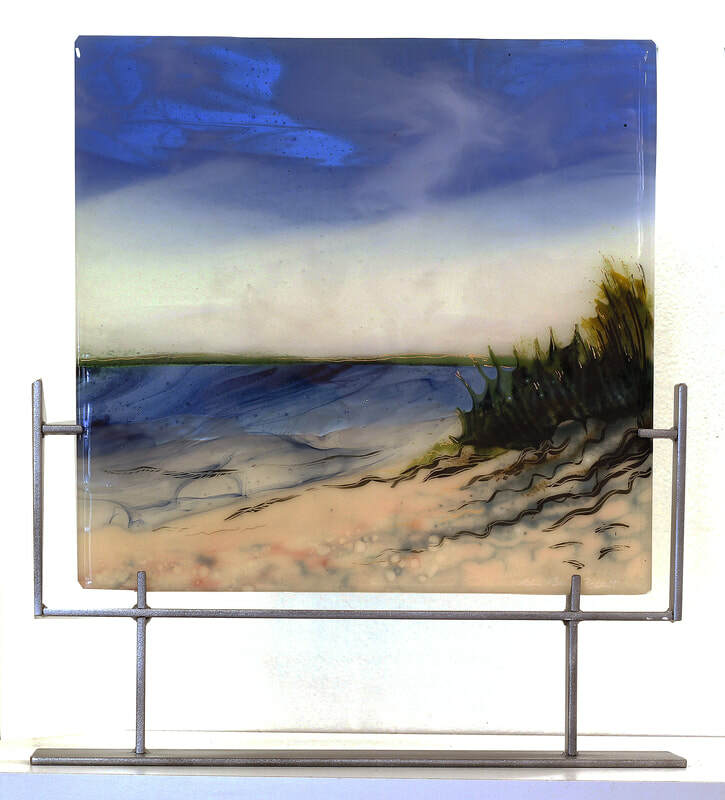 The waterfront landscapes of Block Island include colorful sand dunes and beach roses. 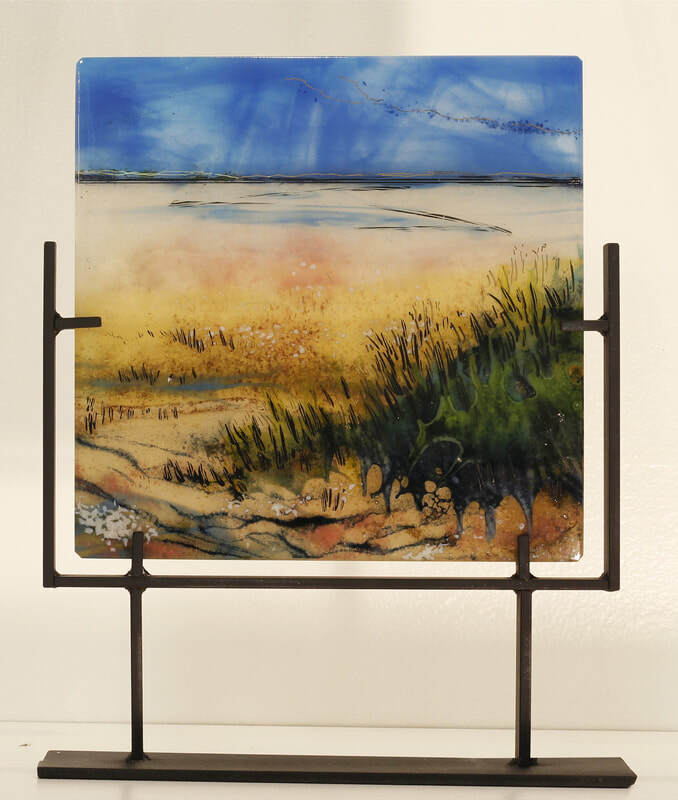 Jamestown and the sandy marshes of Narragansett Bay have the quiet overtone of the marshes with a hint of civilization in the distance. 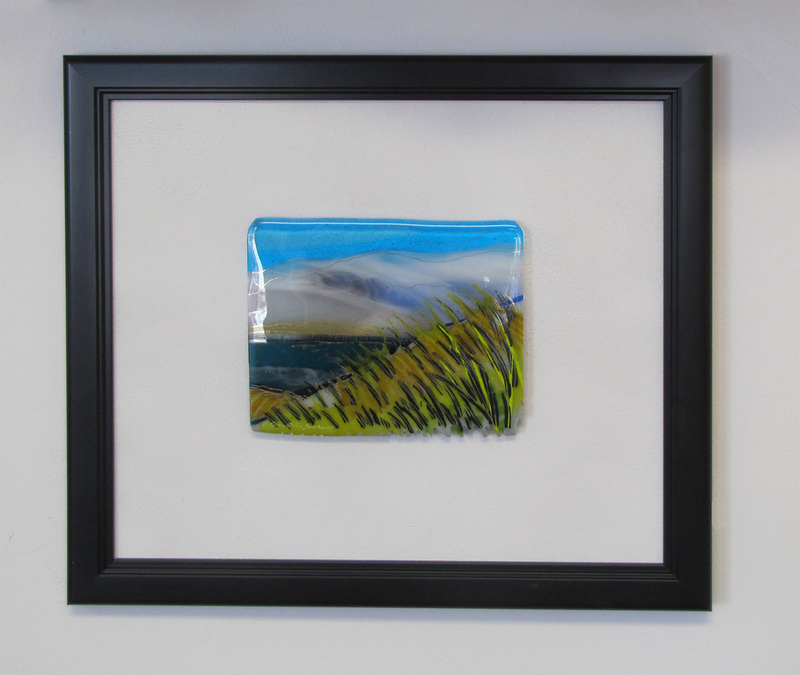 With each piece, I work to capture the individual beauty of the this Northeast state."